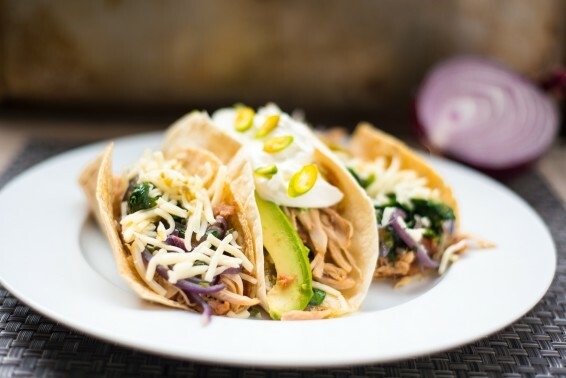 Try some of these great recipes using Margarita’s Tortillas! Feel free to put your own stamp of creativity on any these ideas. Or, if you prefer, you can make something completely different. The sky’s the limit. Do you have a favorite way of eating Margarita’s tortillas? Submit your recipe on our Contact page, and we might put it up on the website! 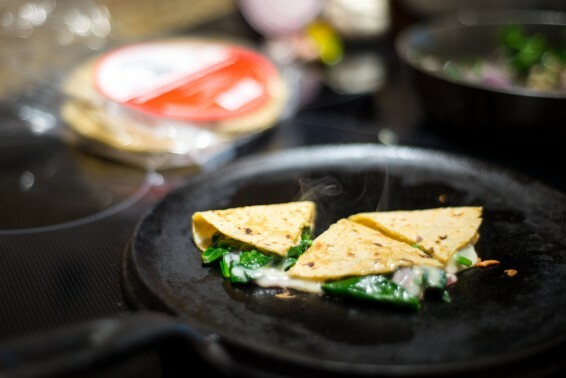 Spinach and onions, spiced with a hint of serrano peppers, make a tasty filling for quesadillas. You can also try these using Margarita's flour tortillas. We recommend wheat, white, or spelt. 1. Heat vegetable oil over medium-high heat. Sauté onions, serrano pepper, and garlic. Add spinach and cook for 5 minutes. Season with salt. 2. Lightly brush corn tortillas with oil. Warm tortillas on a heated cast iron skillet. Set aside. On one half of the tortilla, top with cheese, spinach mixture, and cheese. Fold tortilla in half and press firmly, and place on skillet. Flip, and continue to cook until cheese melts. Cut into wedges, and if desired, serve with your choice of toppings: salsa, sour cream guacamole, etc. You can produce a great meal in minutes by combining prepared foods like rotisserie chickens with fresh ingredients. Use pre-shredded cheese or a fresh Mexican style queso fresco for authentic Mexican tostadas. To make your own tostadas, lightly brush corn tortillas with a bit of oil, then bake them in a 400°F oven until crisp and golden brown. 1. 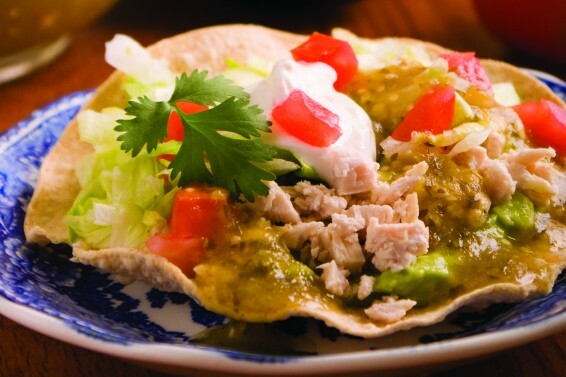 Spread tostadas with beans, then top with lettuce, chicken, tomatoes, onions, potatoes, avocado slices, and cheese. If desired, serve with your choice of toppings: salsa, sour cream, etc. Serve immediately. Burritos are easy to make with endless filling possibilities. Use pre-shredded cheese. We prefer using homemade beans, but canned beans work just as well. 1. Heat comal or iron skillet. Warm tortillas on skillet over medium-high heat. Remove tortilla from skillet and spread beans over center of tortilla. 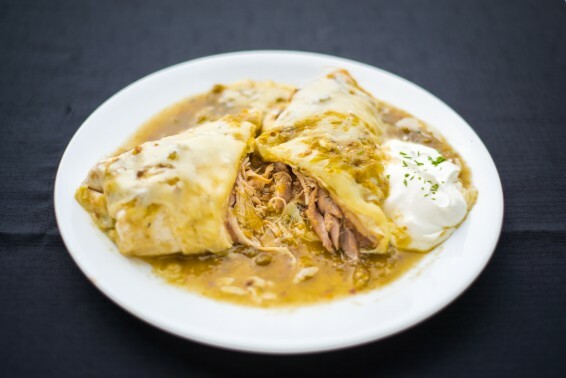 Fill with chicken, cheese and green salsa. Tuck in the ends and roll up into a burrito. Top burrito with green salsa and Monterrey Jack cheese and place in the microwave for 30 seconds to melt cheese. Garnish with sour cream. Use pre-shredded cheese. We prefer using homemade beans, but canned beans work just as well. 1. Heat comal or iron skillet. Warm tortillas on skillet over medium-high heat. 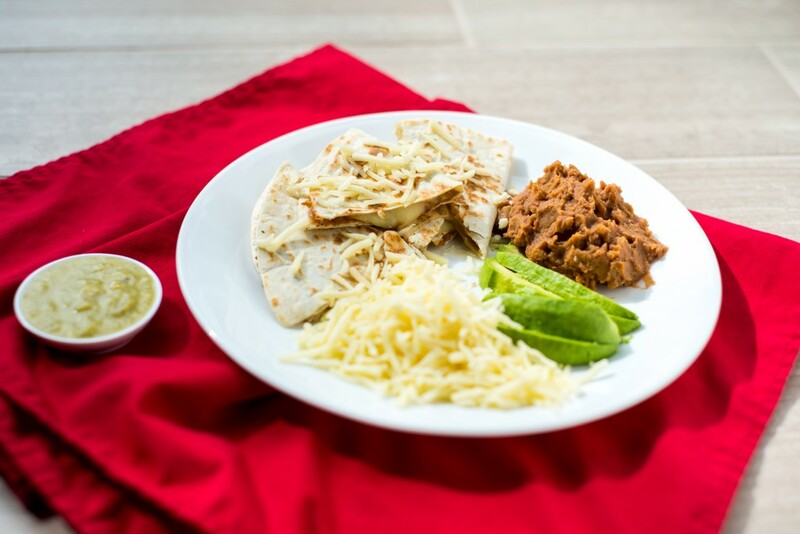 Remove tortilla from skillet and spread beans over half of tortilla, then add cheese. Fold tortilla and press firmly. Place taco on skillet. Flip and continue to cook until cheese melts and tortilla is golden brown. Cut each taco into three wedges. These poor boy wraps are perfect for party trays. 1. Warm tortilla on iron skillet. Spread cream cheese over entire tortilla. Place leaf of lettuce on one half of the tortilla. Place Baby Swiss cheese over lettuce. Place ham or turkey over Swiss cheese. Spoon tomatoes, green bell pepper, and red onions over ham. 2. Wrap tortilla beginning from the end with the filling (in jelly-roll style). (The cream cheese holds the wrap together.) Cut into pinwheels and place on a tray.